The Lancastrian Henry Tudor and his uncle Jasper had been in exile ever since the Yorkist King Edward IV claimed victory at the Battle of Tewkesbury in May of 1471. When they fled from Wales, their intention was to sail to France but they were blown off course by bad weather and landed in Brittany. Duke Francis II welcomed the two men and gave them shelter. Francis knew the value of his guests and kept them in genteel custody. Over the fourteen years of exile, the French King Louis XI as well as King Edward IV of England tried to strike a bargain with the Duke to obtain custody of Henry and Jasper. But Francis made sure they were safe and never took any of the offers. During the last years of Edward IV’s reign, Henry’s mother Margaret Beaufort had several negotiating sessions with the king. Her aim was for Henry to return to England and reclaim his father’s patrimony as Earl of Richmond and to inherit all of her own property upon her demise. Another topic discussed in the negotiations was the marriage of Henry to Edward’s eldest daughter Elizabeth of York. By the spring of 1483, a deal had been reached in principal but King Edward died unexpectedly on April 9 and the deal was stymied. King Edward’s brother Richard, Duke of Gloucester came to London ostensibly to become Lord Protector for his nephew, King Edward V. After some maneuvering, Richard took the throne for himself and was crowned King Richard III on July 6. There were some who were satisfied with this turn of events but there were many who were not. It is difficult to say if and when people began to consider Henry Tudor to be an alternative to Richard III as King of England but certainly by the fall rebellion began in certain quarters. King Richard now had very good reason to want to capture Henry Tudor and bring him back to England. 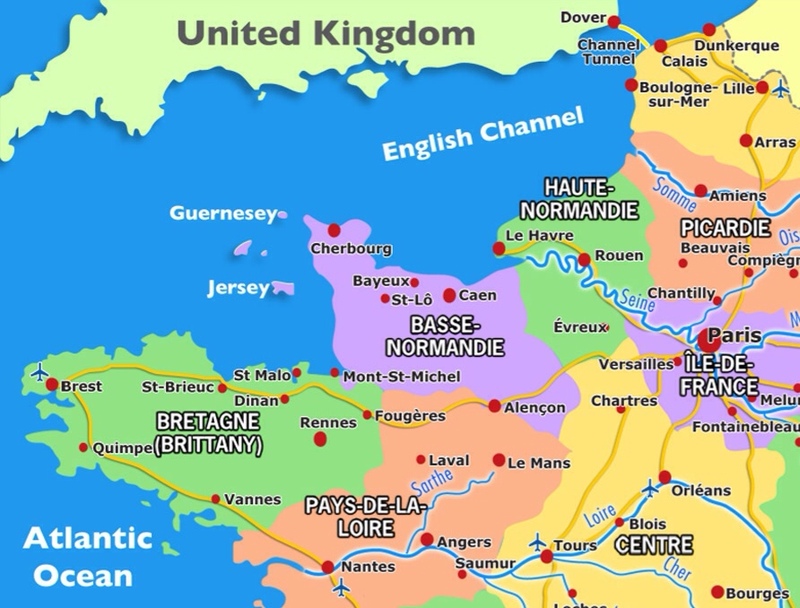 Negotiations began with the government of the Duke of Brittany for a truce in June that took effect on July 1 and was to last until April of 1485. Richard was now in a position to initiate negotiations to acquire custody of Henry Tudor. Henry resided in Vannes with about four hundred followers. Duke Francis was very sick and was also not in his right mind. The messengers from King Richard were received by Pierre Landais, the Duke’s chancellor. Landais was in need of allies as he was not popular with the Breton nobility who resented his influence over the Duke. Richard promised Landais the income from Henry’s confiscated Earldom of Richmond. France was being ruled by a regent, Anne de Beaujeu, sister of the young French king Charles VIII. She was in a struggle with Louis, Duke of Orleans who wanted the position of regent for himself. Landais had made an alliance with Orleans and they wanted to add England to this coalition. The deal was that England would invade France to help Orleans become regent and Brittany would turn Henry Tudor over to King Richard. Richard sent letters announcing his intention to invade France and offered to send between four thousand and six thousand archers to Brittany. Even though the archers never arrived, the threat was enough to alarm the French regent. Everything was now in place for England to acquire possession of Henry Tudor. 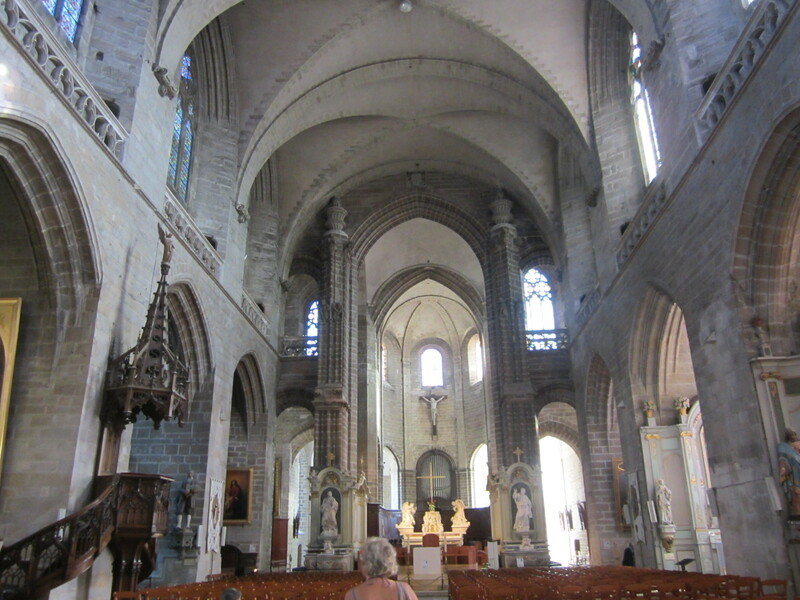 In the late summer and early fall, there is evidence that Henry made an offer of alms at Vannes Cathedral. Also in these accounts, there is evidence Sir James Tyrell, Master of the Horse for King Richard gave alms. The plot to capture Henry was nearly finalized when he received word of the trap. John Morton, Bishop of Ely was living in exile in Flanders. Margaret Beaufort’s chaplain and confessor Christopher Urswick was acting as an agent and had traveled to Flanders. It is not known how Morton found out about the plot to capture Henry but Morton sent Urswick to meet Henry in Vannes and warned him to get himself and the other noble men as soon as possible out of Brittany and into France. Henry sent Urswick to the court of King Charles VIII to ask permission for asylum in France. Charles agreed. Urswick returned to Vannes and Henry and Jasper began planning their escape. First, Jasper and a few men departed, giving the impression they were going to Duke Francis at Rennes which was near the French frontier. They made a run for the border and headed for Anjou. Two days later, Henry left the city with five servants, telling everyone he was going to visit a friend at a neighboring manor house. About five miles outside the city, Henry made a detour towards a nearby forest. 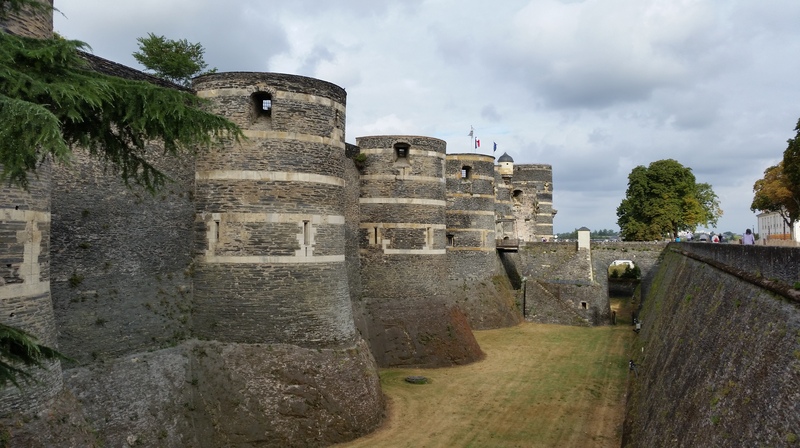 With the help of his servant Matthew Baker, he changed his clothes, dressing like a common servant and then rode straight across the border to Angers in Anjou, only stopping to let their horses drink. Landais heard Henry had gotten away and sent some of his trusted servants in all directions to find, arrest and seize him and bring him back to Brittany. Once they got to the French border, they discovered Henry had crossed into Anjou only about an hour before they arrived. The four hundred Englishmen remaining in Vannes did not know of Henry’s escape but when they heard of it they became frightened. About the same time, Duke Francis recovered his senses and was astonished to hear the news as he knew nothing of his chancellor’s scheme. The Duke was an honorable man. He had always supported the exiles and he wasn’t about to stop now. He gave them money and offered them free passage to France. Henry managed to send a sincere message of thanks to the Duke for his help. 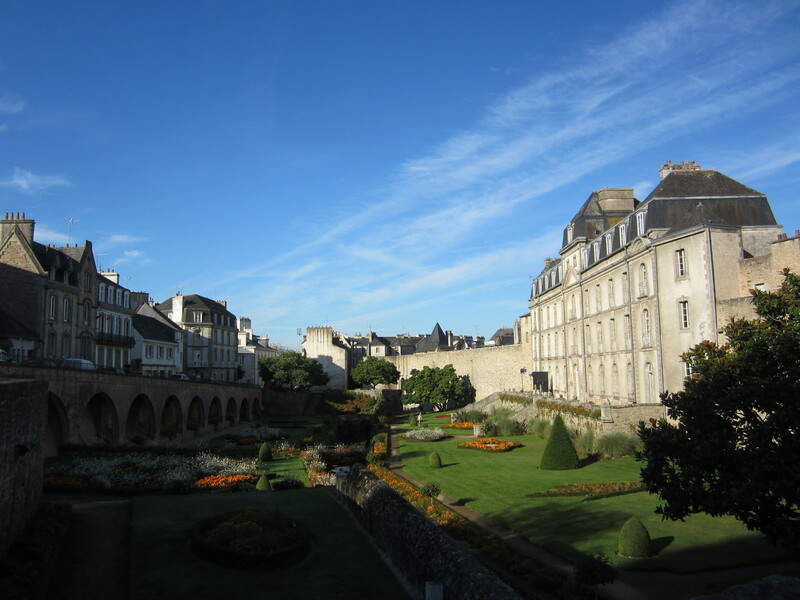 Around October 1, Henry met up with Jasper and his men at the Chateau d’Angers. Urswick was sent to Montargis to inform King Charles of the arrival of the English. Charles was delighted to have the Englishmen and sent Gilbert de Chabannes, Lord of Curzon and governor of the province of Limousin to meet and welcome the English. 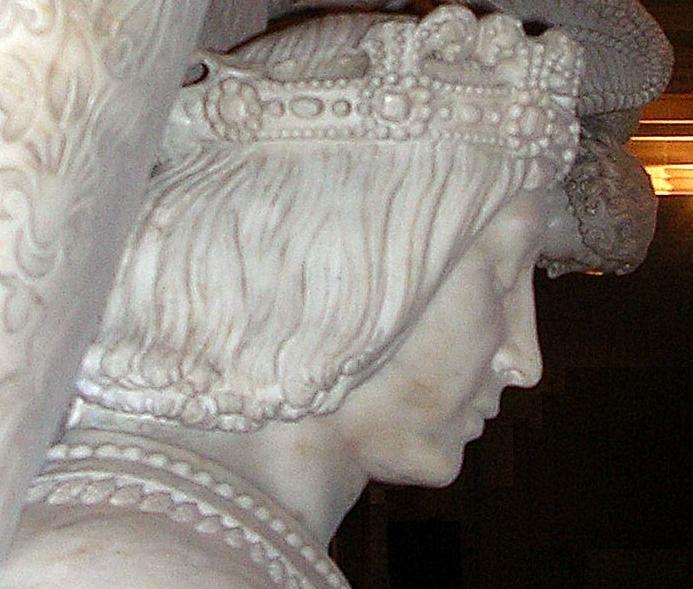 Henry met King Charles at Chartres a few days later and threw himself upon the king’s mercy. While not giving his complete endorsement, Charles was supportive of Henry and his mission to claim the throne of England. He agreed to give all the exiles lodgings in Sens and gave him three thousand livres tournois to buy clothing for his men. Charles also gave Henry permission to recruit men to raise an army to invade England. Naturally this unwelcome escape had been a complete catastrophe for King Richard and relations between France and England continued to deteriorate. Richard issued proclamations against Henry Tudor and the exiles and ordered the muster of men in England to fight an invasion. Henry Tudor was not out of the woods just yet. But by the summer of 1485, he had enough men, supplies, money and ships to sail for Wales.